Commissioner Margaret A. Hamburg, M.D. The dieting industry is multi-billion dollar industry preying on women and men’s insecurities. They promise a new life or that we can only be completely fulfilled if we are thin. 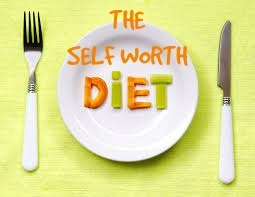 These diets were created by: So-called “experts,” celebrities, doctors, nutritionists or just your average person. No one is regulating these diets to make sure they are safe! There seems to be a new diet book or program that is released upon the world every day. Some of the well known diets are: Nutrisystem, Zone, Atkins, South Beach Diet, Cabbage Soup Diet, Grapefruit Diet, Master Cleanse, Hollywood Diet, Gluten-free Diet, Blood Type Diet, Alkaline Diet, Scarsdale Diet and Jenny Craig. Speaking of Jenny Craig, I joined the diet in September of 2011. I lost weight slowly. Then, about nine months into the diet, my nails developed vertical, black lines on them and were yellowing. The pain became unbearable and I was rushed to the ER. At the ER, they found that I had over 1,000 gallstones. The stones had traveled and were cutting off the ducts to my liver, my pancreas and my small intestine. I had emergency surgery to take out my gallbladder and remove the blockages so that my liver, pancreas and small intestine could function again. I know I was fine before starting the diet, just two months prior, I had fibroid surgery. To prepare for the surgery I had a full work up including an MRI. I couldn’t have been a healthier specimen (besides the fibroids). Soon after getting home from the hospital, a friend sent me an LA Times article from 1994. The article talked about a class action lawsuit where 360,000 former Jenny Craig clients alleged Jenny Craig’s diet caused their gallbladder disease. Jenny Craig and Nutrisystem have both been sued for allegedly causing gallbladder disease. Livestrong.com, Web MD, and many gastroenterologists I’ve talked to say that processed foods that have nutrients removed and/or substances added (fake fat, food coloring), can aggravate the gallbladder which can cause gallbladder disease. Here is a link to one of the Nutrisystem suits. Crash diets can also be very dangerous to your health (Master Cleanse, Cabbage Soup Diet, Grapefruit Diet, Hollywood Diet, Clean Program, etc.). When on a crash diet you may lose muscle, weaken your bones or suffer from cardiac stress. Also, if you lose weight too fast you risk the chance of getting gallbladder disease. Low carb diets (Atkins, South Beach Diet, Zone Diet) can also cause health problems like kidney stones, brittle bones, heart and kidney disease. “Dieters may want to steer clear of the Atkins and South Beach Diet plans. These low carb crazes lead to more health problems than previously thought and should be considered insane,” Says doctors at the American College of Preventive Medicine. When you eat low carbs you cause the body to shed massive amounts of water then the body burns fat. After all the fat is burned ketosis kicks in. Ketosis is a metabolic state where the body burns its own fat for fuel. Ketosis can cause major health problems, such as kidney failure, high cholesterol, osteoporosis and cancer. Weight Watchers, ideally, would be the healthiest plan because it encourages eating fresh fruits and vegetables. On the one hand Weight Watchers advocates fresh foods then sells its processed foods in stores. This is a global problem that has been going on for decades now. When are we going to stand up and stop the large corporations and the so-called “experts” from taking advantage of us? They seem to care more about profit than our health. I urge you to start regulating the dieting industry before more people are hurt both physically and emotionally. I will not sit quietly any longer. I plan on doing whatever it takes to ensure the public’s safety whether that means writing letters you, generating petitions or meeting with government representatives. lot more neatly-liked than you might be now. You’re so intelligent. matter, made me individually imagine it from numerous numerous angles. Its like men and women aren’t interested except it is one thing to accomplish with Girl gaga! I’m going to have to write a follow up to the FDA as they never got back to me. Hi there i go through your website normally and assumed i might say all of the ideal for 2010! I ѡant to to thank you for this wonderful rеad!! Howdy! I ϲould have sworn I’ve been to this site befoгe but aftеr going through some of thе posts I realized it’s new to me.